CALDWELL, Idaho — It's been a banner year for Idaho Backcountry Veterans who sold out their second annual banquet Saturday. The success of their biggest fundraiser shows how far the organization has come, but it also means they will be able to help more veterans. 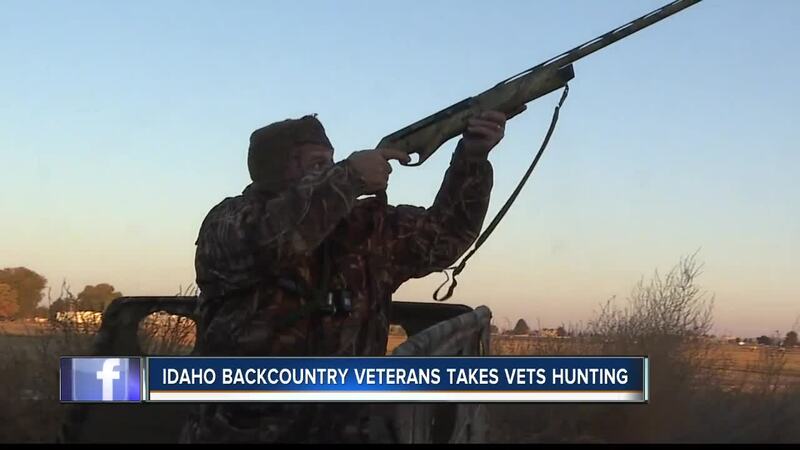 Idaho Backcountry Veterans is a group of veterans aiming to help other vets by connecting them with each other and the outdoors through hunting and fishing. This organization started with just three people, and on Saturday night people packed the Elks Lodge in Caldwell to help Idaho Backcountry Veterans raise money for future endeavors. "It's amazing. It really is the community support means we will be able to do a lot more this year," said Kevin McFarland. "There are so many people here we almost tripled our numbers and got way more donations." If you are an outdoor enthusiast, this event is definitely something to put on your calendar, whether you are a veteran or not. 13 guns were raffled off, and there was a silent auction in which Gerhart Outdoors donated two African safari hunts; one was auctioned off and another was given away to a veteran. It is the uniqueness of connecting veterans with shared experiences to build camaraderie in a way that resembles what they went through in the military that has made this organization a big success. "They've reconnected with at least somebody that knows what they have been through," said McFarland. All the proceeds raised by Idaho Backcountry Veterans goes towards getting vets out hunting and fishing in the Idaho outdoors.